It was a small village of 25 huts on a beach and close to a river. The people lived as they had for centuries. It was a simple but healthy existence, the villagers eating what they grew in the gardens together with a variety of fish they caught using their canoes. Mangoes, paw paws, bananas, coconuts, five corners and many other tropical fruits abounded. Vegetables such as sweet potato, cassava, yams, tomatoes and beans were easy to grow in the plentiful sunshine and good rainfall. The ocean sparkled with the bounty of ever present shoals of fish. ‘Civilisation’ had barely touched the lives of the people. Christianity had been brought to the island about 50 years earlier and the people of the village had embraced the Catholic faith. A small church had become part of the grouping of huts. That was the only change. Apart from that daily life went along as it had for as long as anyone could remember and even before that. Basically life was ruled by the sun, the weather and the tides. In 1942 Tekela Palosi was a twelve year old girl living in the village. She recalled that there were two wells at either end of the village. A large tree grew outside the church where the visiting priest could talk with the villagers in the cool of the shade. There were lots of crocodiles in the nearby river she laughed. The village was typical of many villages that adorned the coastline where some could say people lived an idyllic life style. This story is about four people and of events that would forever change that idyllic state. The first stirrings of those events began on the 4th May. At a height of 20,000 feet an aeroplane took a photo of the village on its way to Tulagi about twenty miles across the sea. Nothing idyllic about this plane, it was on its way to bomb Japanese ships that had arrived in Tulagi the previous day. The Japanese as part of their Second World War expansion had invaded and seized Tulagi. Tulagi had been the Headquarters of the British Solomon Island Protectorate. South of Guadalcanal a United States Navy task force with two aircraft carriers, USS Lexington and USS Yorktown, was on its way to what became known as the Battle of the Coral Sea. The Commander of the task force, Admiral Fletcher, alerted about the enemy ships arriving in Tulagi Harbour, ordered a bombing mission. As his planes flew over the north coast of Guadalcanal on their way to Tulagi they photographed the coastline which included a small outcrop of land known locally as Point Cruz and a river known as the Mataniko. They also happened to fly over the village which sat between these two features. The village was known to the locals as Horahi Village. Whilst realising that something was going on, the people of Horahi continued village life as usual. Whenever the villagers needed medical help they had to go to Aola Bay. Aola was the district office on Guadalcanal run by the British about 30 miles to the East. Medical help was provided by the resident Native Medical Dresser. People from the village could get to Aola by the British Government schooner on its regular rounds of villages or walk there. Walking took two days with an overnight stop half way. In May 1942 Tekela Palosi and two ladies from the village walked to Aola seeking medical help (the schooner was no longer available.) When they got there the Medical Dresser, Mr Eroni, warned them that they should get back to their village as soon as possible because ‘things were getting dangerous’. Alarmed by the warning they returned without bothering with an overnight stop. Events then began to accelerate. 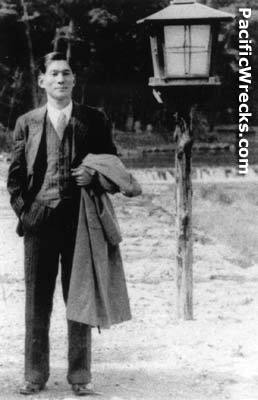 In July 1942 the Village had their first Japanese visitor Terushige Ishimoto. Ishimoto had been the Rabaul manager of a Japanese shipping company before the war and had visited Tulagi several times. He was recruited into the Japanese military when the war broke out and given the rank of Lieutenant. His knowledge of the area and his ability to speak English was used by the Japanese in their push into the Solomons and Guadalcanal. His main task was to liaise with the local population on Guadalcanal. His visit to Horahi and other villages in the area was primarily to recruit local labour to help the Japanese build an airfield at Lunga Point about 5 miles to the East. Locals who gave 30 days loyal service to the Japanese were promised a ‘certificate of residence’. Food was given but no pay. Each day a Japanese truck would come down to the Mataniko River to pick up the local labourers. The truck would then take them to the airfield being built at Lunga. At a second visit to the village Ishimoto ‘acquired’ a small pig and more food from Tekela. That was the last time Ishimoto went to the village but not so other Japanese. The storm finally broke on the morning of 7th August 1942. Some men from the village, just before dawn, went down to bath in the sea. In the faintest traces of daylight in the near dark they made out the shapes of many ships out to sea. What was this all about? At 6.13 AM the guns of the ships exploded into action as they started to bombard the Japanese airfield at Lunga. It was an attacking U.S. fleet bringing in the US Marines who were intent on taking the Japanese airfield. Together with that bombardment, Grumman Wildcat fighter planes and Dauntless dive bombers from US aircraft carriers USS Saratoga, USS Enterprise and USS Wasp, also came screaming down strafing and bombing Japanese positions. As this ‘hell’ broke loose everyone left the village running for safety. They ran all the way inland about five kilometres to Tuvaruhu and hid in a cave. That was the last time they would ever see their village. At the airfield at Lunga Point the Japanese had less than 3,000 construction workers with 257 troops. Realising they were facing an overwhelming force (twelve thousand US Marines plus all the ships and aircraft) they decided to retreat to the western side of the Mataniko River. On 8th August a Japanese Guard Unit crossed the Mataniko, moved into the village and set up a defensive position. Between the sea and the village they dug four trenches (fighting positions). Each trench was capable of handling eight men and faced the sea. Meanwhile the U.S. Marines had taken over the airfield with surprising ease. They had been expecting fierce resistance but received none. The only resistance that had been noted was when a Marine patrol went to the mouth of the Mataniko and encountered Japanese rifle and automatic fire. The patrol reported that it was ‘a hornet’s nest down there’. The Intelligence officer of the 1st Marine Division ignored or discounted that report. Instead, seeing how easy it had been in taking the airfield at Lunga he decided to go to the Japanese on the western side of the Mataniko and assist in their surrender. So the ill fated 25 man Goettge Patrol was put together. Lt. Colonel Goettge was the 1st Marine Division’s intelligence officer. He originally had asked the operations (combat) people to send out the patrol but they refused pointing out that things weren’t that easy at the mouth of the Mataniko. In anger Goettge said ‘if operations won’t do it intelligence will. The 25 Marines left the perimeter in the evening of the 12 August in a small boat taking with them a Japanese prisoner who was to help them communicate with the Japanese. Goettge also took the assistant divisional surgeon to help any wounded Japanese and a Japanese speaking interpreter. At about 10 PM the boat hit a sand bar just west of the Mataniko a short distance from the beach opposite the village. The boat got stuck on the sand and the Marines had to get out and rock it free (making a lot of noise). Col Goettge then ordered the boat to return to Kukum on Lunga point. The Marines waded ashore and arrayed themselves in a defensive position along the beach. Walking in a short distance Col. Goettge came up to one of the Japanese occupied trenches. The Japanese heard him say to them “stand up”. Not being aware of the purpose of the Patrol they naturally assumed it was hostile and opened fire immediately killing Goettge. All night the shooting continued. Three Marines were ordered to try go get back to the US lines to get help. Two managed to get back but too late to do anything. At dawn there were only three Marines still alive at the village. They decided to make a dash for the trees. As they got up two were shot dead immediately. One of the three, Sgt Frank Few then turned around and ran into the sea. Ducking and swimming under the water as the Japanese fired at him. His last image of the village as he looked back was of Japanese swords gleaming in the morning sunlight cutting up the Marines. After the battle the Japanese then buried the Marines in the Japanese trenches (fighting positions). A week later on the 19th August 1942 the US Marines visited the Village again but this time with a combat Patrol. That patrol was made up of L Company, 3rd Battalion, 5th Marine Regiment (about 160 men). It was to be engaged in an action referred to in the military history books as the ‘First Mataniko’. There were to be four other Mataniko actions in the Guadalcanal Campaign with each one given the next sequential number. Visiting Guadalcanal this month was a member of that patrol, Private Ernest Snowden. He described his part in what transpired. After crossing the Mataniko River about 1600 yards inland from the mouth L Company had spent the night of the 18th August on a hill. That hill (Hill 73) is the present day site of the US Memorial. The next morning they followed the ridge line down to the coast and to the hill where the present day Holy Cross Church is. He distinctly remembers then turning left and following a trail that led towards the village. He then realised they were bullets passing through the leaf walls. He could not tell if they were Japanese or US bullets. But no matter whose bullets they were it was not safe to be there. Because of the slope the bullets were passing over the head of the Marine kneeling down tending the wounded man. They hurriedly left the hut and two of them lay down behind a log just outside the hut. The Marine lying beside Snowden then made a small ‘ahh’ sound as a Japanese sniper shot and killed him. Before the sniper could shoot him Snowden got up and scrambled a short distance to where his sergeant told him to quickly lie down in a defensive line with other Marines. The Japanese sniper was seen in a coconut tree and killed. In a matter of moments it was all over. The Japanese made it easy for the Marines as they broke cover and charged in the open into the Marine’s fire. Sixty five dead Japanese were counted. After the fighting Ernest Snowden then walked straight down towards the sea and saw the Goettge Patrol remains. They were in a shallow grave (trench) with arms and legs intertwined. The line was at an angle (slightly inclined towards Point Cruz). Snowden remembered that someone recognized Colonel Goettge who was the first body at the inland end of the line. They were not buried in the beach although there was sand put on top of them. The line started a short way in from the beach. (He indicated about 30 feet). He estimated in the line he was looking at there were ten to twelve sets of remains. The Marines then had small boats come to the shore line to take them back into their Lunga Point perimeter. They took with them their own casualties but they did not attempt to retrieve the Goettge Patrol remains. Snowden recalled that they did not know how many more Japs there were in the area and they were not going to stay around and find out. He also spoke of the natural feeling of fear in combat but having a job to do. To deprive the Japanese from using the village again the Marines set fire to the huts before they left and with that action Horahi Village ceased to exist. When the fighting on Guadalcanal finished in February 1943 the Americans set up a huge Advanced Naval Base on Guadalcanal and Tulagi. On Guadalcanal they had built a large infrastructure of roads, buildings, power, water and airfields. When the war ended the infrastructure was no longer needed by the Americans. The Goettge Patrol remains are still unrecovered despite many searches. 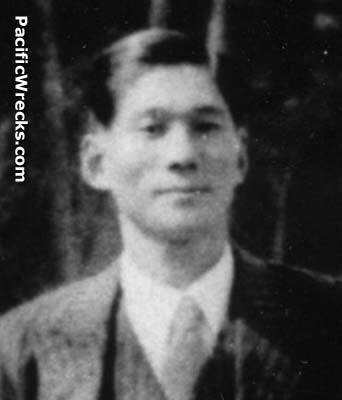 Terashige Ishimoto was killed in November 1942 near Ruavatu. He had just been swimming and was standing gazing out to sea when he was spotted and shot by U.S. Marines. He was buried nearby. His daughter has unsuccessfully tried to locate his remains. Tekela Palosi the then 12 year old girl who lived in the village married Peter Besi in 1950. She moved to Barana Village on Mount Austen where they raised their family. Sadly Tekela died last week and is now buried at Barana vllage. Ernest Snowden returned briefly to Guadalcanal in 1944 after being severely wounded in the battle for Peleliu. He was cared for in the US Naval hospital at Tenaru (now St Joseph’s Tenaru). His height was five foot nine inches when he joined the Marines. When he got back home three years later and embraced his mother he was well over six foot. This year he visited Guadalcanal for the 7th August anniversary. Now back in his Kentucky home in America he says he will try to bring back a couple of his L/3/5 Marine buddies with him next year.